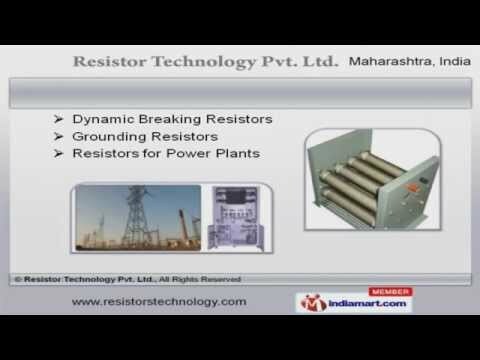 Welcome to Resistor Technology Private Limited, Manufacturer and Exporter of Resistors and Isolators. The company was incorporated in 2012 at Pune. Our products Conforms industry guidelines and we export to Gulf Countries. International quality standards, competitive prices and streamlined business dealings make us stand apart from also rans. We offer a wide assortment of Isolators, Load Banks and Neutral Grounding Resistors. Our Buffer, Speed Control and Battery Discharge Resistors are widely acclaimed in the market. We also provide Resistors for Power Plants, Grounding and Dynamic Breaking Resistors that are a class apart. We are known in the industry as the manufacturer of Load Banks for UPS, Resistors for Generators and Transformers. Our Load Banks for Generator Testing and Isolators for Transformers are highly efficient. We are offering a top notch quality range of Starting Resistors for Slippering Motors and Buffer Resistors for Sugar Industry.